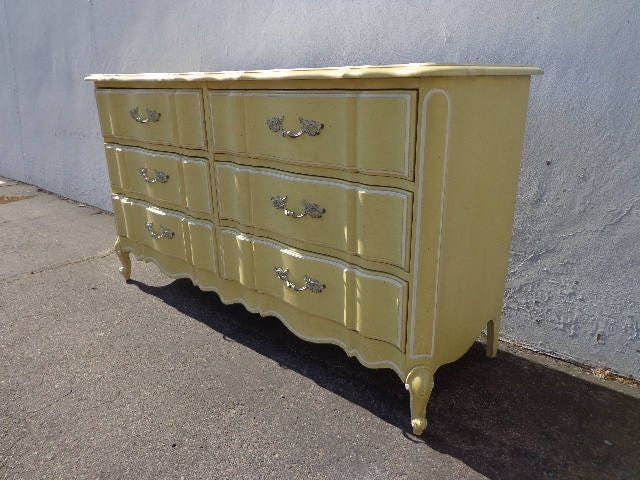 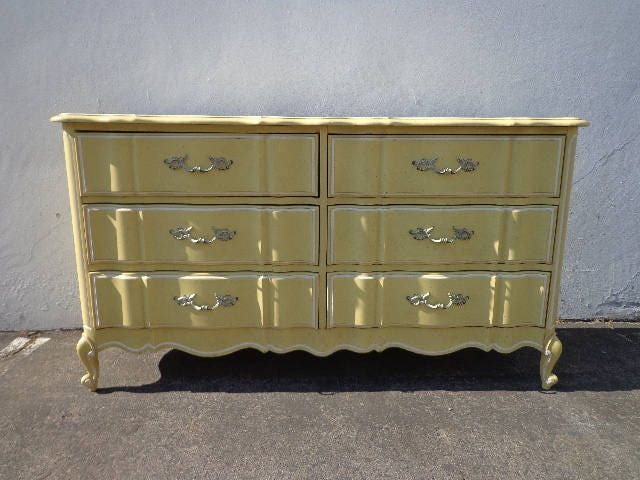 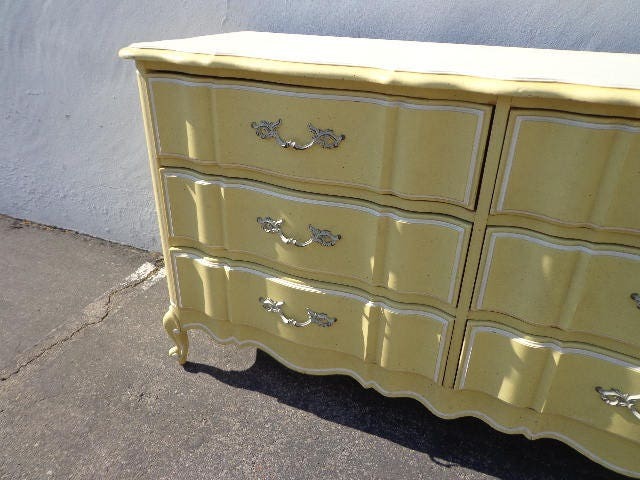 Classic French Provincial Dresser / Chest of Drawers / Changing Table / Media Console. 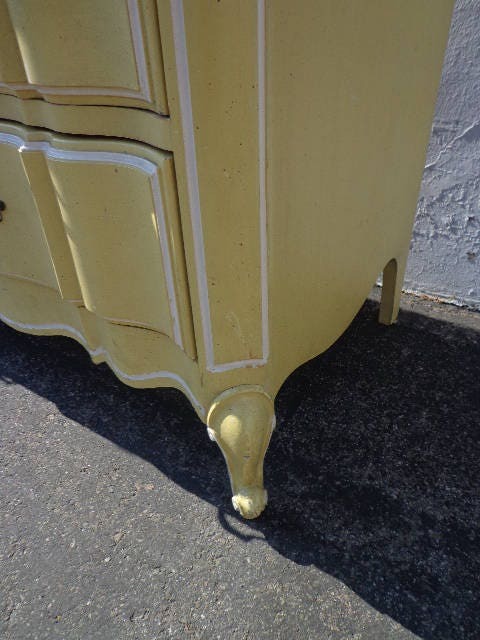 Vintage and beautiful in the classic French Provincial style. 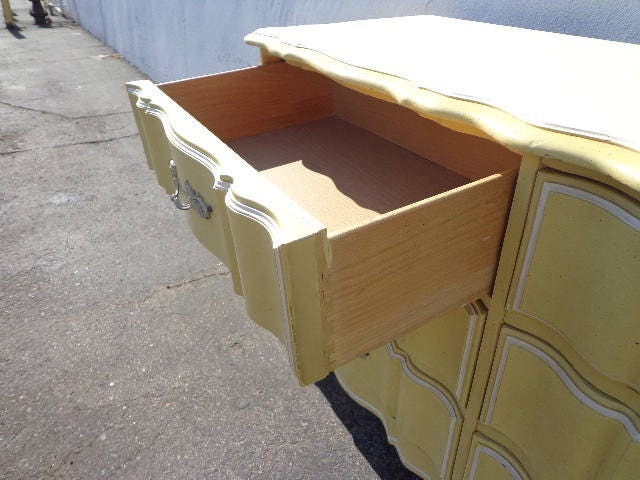 Features an appealing shape and offers 6 dovetail drawers with decorative hardware. 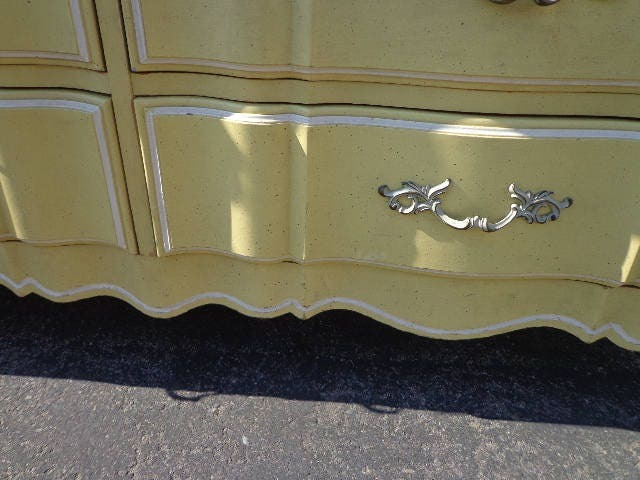 Bears a yellow finish and available for custom paint. 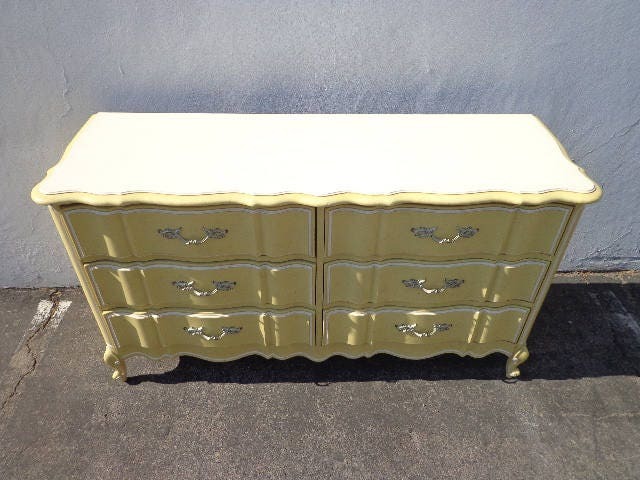 This chest of drawers would look amazing anywhere displayed, entry way , console table , bedside night stand , bedroom vanity area , nightstand, bachelor table, anywhere. 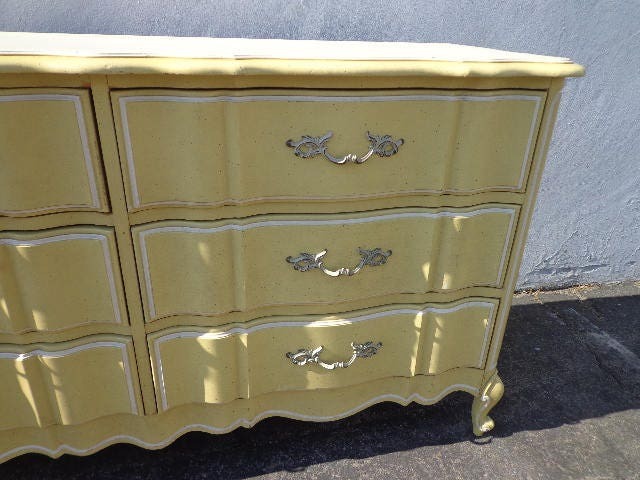 Good solid and sturdy condition. 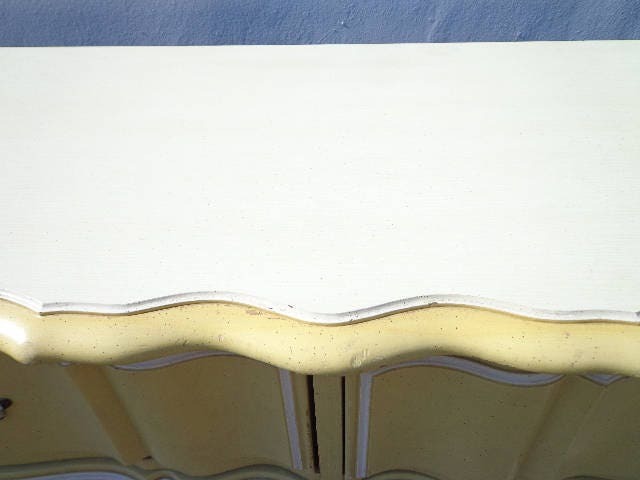 Shows some surface wear from age/use and solid. 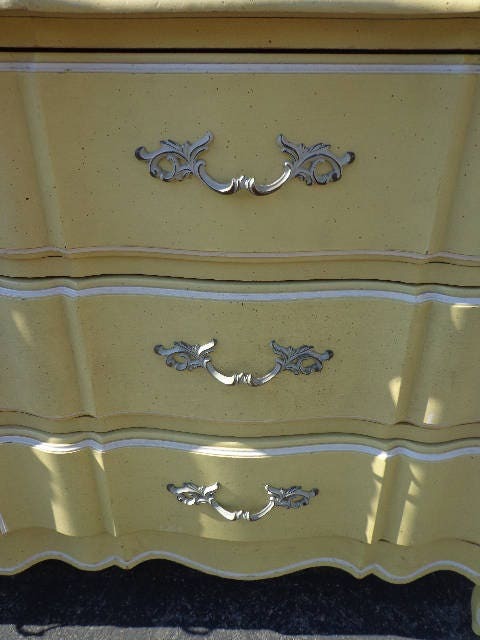 Dimensions: 55 3/4" x 18 1/2" x 31"